Greenland, 1850. In the footsteps of the Franklin Expedition, cross Lancaster Sound and sail in unknown waters. 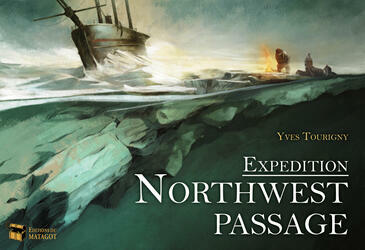 Through the labyrinth of islands and ice, on your ship or sled, and despite the endless Arctic winter, will you be able to discover the mythical passage of the North-West? Be tactical and opportunistic and score victory points by exploring the ice floes from one end to the other and bringing your crew home to Canada.